January 17th, 2014. AMC Orange 30. A cold and blustery night. I emerged from a screening of Matt Bettinelli-Olpin and Tyler Gillett’s DEVIL’S DUE dazed and confused. Never before had my conceptions and presumptions of horror been so utterly challenged. I had seen horror movies that were good and I had seen horror movies that were bad, but I had never quite seen a horror movie that wilfully and blatantly avoided all attempts at horror. Was this an academic statement on subverting audience expectation? Was this a cruel, cheaply made joke that would make back its budget on opening weekend before word spread of its putrid nature? Was this scary in any theoretical realm of existence? No, it was simply the worst horror movie I had ever seen. Until THE FOREST, that is. 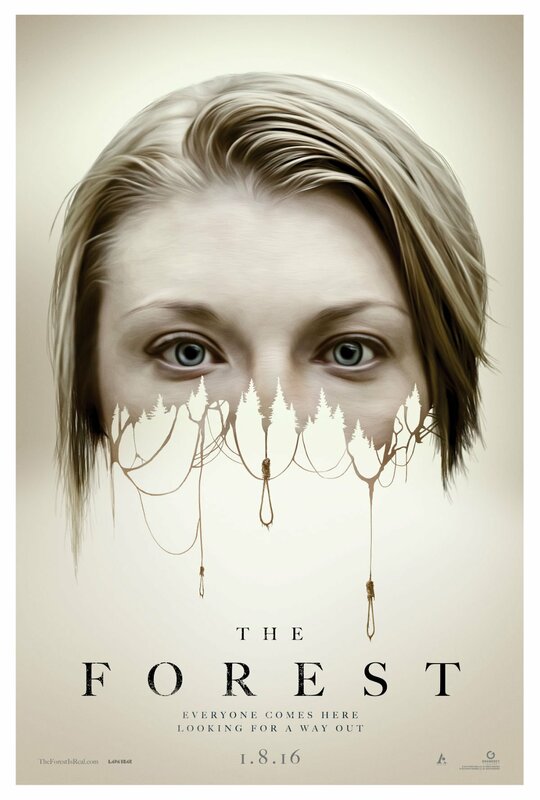 THE FOREST tells the story of Sara (Natalie Dormer), who receives a call that her sister Jess (Natalie Dormer) has gone missing in Aokigahara, Japan’s infamous “suicide forest” (it does just what it says on the tin). She goes off in search for Jess, where she runs into Aiden (Taylor Kinney), an Australian reporter with a suspiciously American accent that speaks some of the most phonetically challenged Japanese ever committed to film. Aiden recruits park ranger Michi (Yukiyoshi Ozawa) to help them out, and a tepid snoozefest of half-assed horror hijinks commences. Let’s start with what’s good about THE FOREST. Sometimes (not all the time), there are no subtitles when characters speak Japanese. Nope, that’s it. What’s most frustrating about THE FOREST is that the concept itself is in fact ripe with potentially frightening material. A “suicide forest” is inherently creepy due to the large amount of presumably restless and vindicated ghosts contained within, and this time around there’s no existential romp with Matthew McConaughey and Ken Watanabe (2015’s universally panned THE SEA OF TREES) to slow things down. 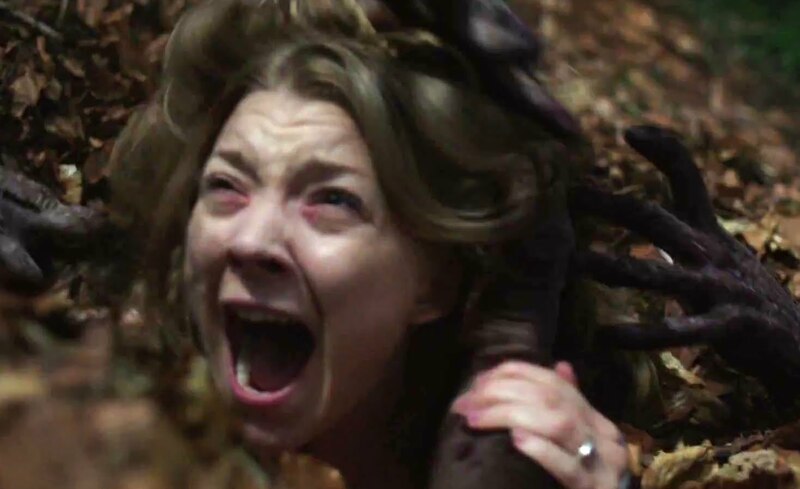 Sure, it doesn’t exactly add up that Natalie Dormer’s Jess would get a teaching job in Japan (a promising fresh start) and immediately decide to call it a life and be done with it, and it doesn’t exactly add up that someone would see Jess go into Aokigahara with enough certainty to have the Japanese police call Natalie Dormer’s Sarah to inform her of Jess’ death, but it’s a decent enough horror setup. 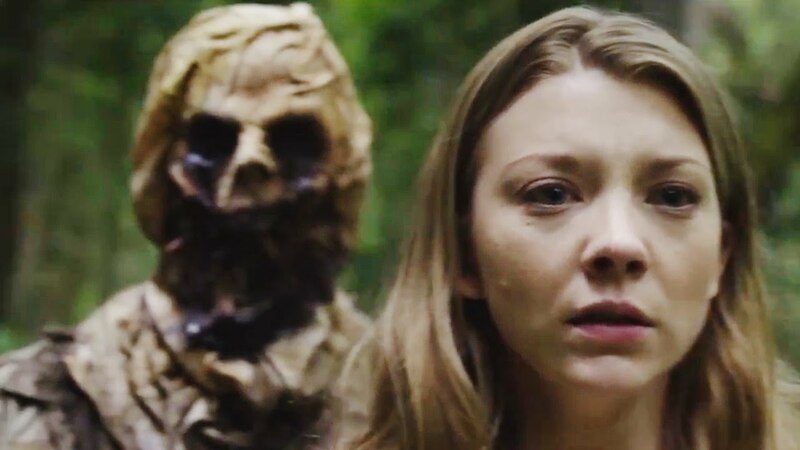 But then, much like DEVIL’S DUE before it, THE FOREST doesn’t even manage to get jump scares right, contributing to an entirely flaccid viewing experience, just as frustrating as other things that are flaccid when you need them for enjoyment. The plot is nonsensical and you can feel the filmmaker throw up his hands in indifference as time goes on. Extremely willing to trust the advice of a small, battered schoolgirl who appears to be recreationally enjoying the wonders of the suicide forest at night, Sarah begins to suspect Aiden of killing Jess, and there’s a fun part in the third act when she believes that Aiden has led her to a ranger station where he has Jess imprisoned (and yes, Jess does slip Sara a note under the door to the basement saying to kill Aiden, if you were wondering). There’s more deus ex machina than you can shake your fist at (Sara’s group just happens to stumble upon Jess’ tent, Aiden happens to stumble across the hole Sara had fallen into, Jess just happens to find her way out of the forest at the end into the hands of the extremely helpful police), and the laziness in terms of craft carries over to research (the Aokigahara station that Sara gets off at doesn’t exist) and cinematography (the reliance on multiple 360-degree shots that are as headache-inducing as they are unnecessary). But hey, this is a horror film, so is it at least scary? Ladies and gentlemen of the jury, I present to you the above image as THE FOREST’s chief jump scare. Even if it would culminate with the music and tension-building appropriate for the situation, the syphilitic scarecrow whose head looks like it’s constructed out of papier-mâché would still be laughable; instead, a spooky ghost voice repeatedly tells Sara to look behind her, which is just about the most mind-numbingly idiotic way to present a potential scare that comes to mind. There is no atmosphere cultivated. There is no creative or even basely effective handling of tension. There are no interesting characters, plot points, or scenes. Other “scares” include a “face morph” jump in a hallucination ripped straight from a Digital Arts thesis film, an old woman who rushes towards camera after repeatedly banging her head against a wall in a hotel, a Japanese schoolgirl who reveals that she’s actually a yuurei (vengeful spirit), and hands that suddenly grab Sara’s ankles. There’s one scene where Sara continually clicks a viewfinder she happens to stumble upon at the bottom of an ice cave (as if), only for a ghost to appear that I suppose is objectively a little bit scarier than its peers, but this is such a tired horror trope at this point that no mercy will be shown. There is no atmosphere cultivated. There is no creative or even basely effective handling of tension. There are no interesting characters, plot points, or scenes. Jason Zada is best known for creating ELF YOURSELF, a viral Christmas campaign for OfficeMax. You are much better off making 95 separate ELF YOURSELF videos than spending 11 dollars and 95 minutes of your time on THE FOREST.